While concentrated autologous MSCs do not require approval by the U.S. Food and Drug Administration (FDA); Mesenchymal stem cell therapy is considered investigational for all orthopedic applications, including use in repair or regeneration of musculoskeletal tissue. Since as of this writing, the Corporate Insurance world does not cover investigational services or procedures, Cellular Orthopedic interventions are not indemnified. It is a self pay undertaking. The use of mesenchymal stem cells (MSCs) for orthopedic conditions is an active area of research. Despite this research into the methods of treatment, there are uncertainties regarding the optimal source of cells and the delivery method. Current available evidence on procedures using autologous bone-marrow-derived mesenchymal stem cells (MSCs) for orthopedic indications in humans consists primarily of case series and small non-randomized comparative trials with insufficient data to evaluate health outcomes. In addition, expanded MSCs for orthopedic applications are not FDA approved (concentrated autologous MSCs do not require FDA approval). 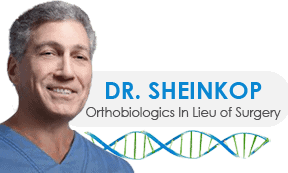 Due to the lack of evidence that clinical outcomes are improved and the lack of regulatory approval, use of stem cells for orthopedic applications is considered investigational. The above is in part taken from information to be found by searching Corporate Medical Insurance Policy via the internet. As you are aware if you are a reader of this Blog or as you will become aware after reading this Blog, the members of the Regenexx Network are gathering outcomes data that could result in a future change of Corporate Indemnification Policy for Regenerative Medicine. Actually, a corporate policy review for BCBS is scheduled next month.